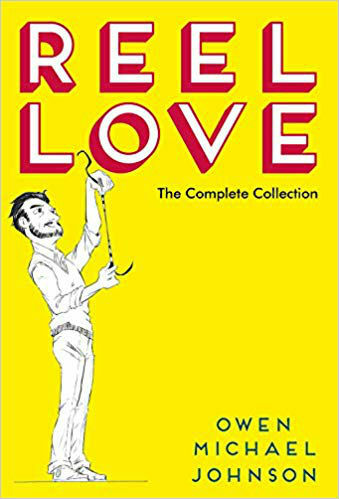 Officially published this Thursday, Owen Michael Johnson’s Reel Love has had a long journey to print in this final incarnation. But, having read the finished book some months ago, I can assure you it is well worth the wait. 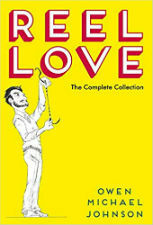 Originally self-published, we reviewed the first two chapters of Reel Love a few years back at Broken Frontier. This complete collection reworks that original material in places and presents all three acts of Johnson’s sequential art love letter to cinema together in one place for the first time. The second book to come from crowdfunding publisher Unbound’s graphic novel line-up Reel Love follows its protagonist from boyhood and his discovery of the magic of movies, to darker adolescence working at his local cinema, to an adulthood where life hasn’t quite worked out the way he’d expected. It’s only January but this beautifully and unflinchingly observed slice-of-life/coming-of-age drama (infused with more than a hint of autobio) is already one of your must-buy graphic novels of 2019. The book launches at Orbital Comics this Saturday January 26th. We don’t always look for the same experience from our fiction. 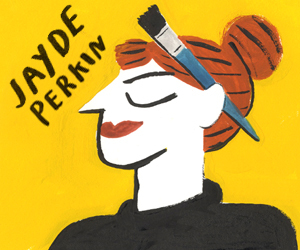 Sometimes we like a piece of work to click precisely into place like a Chinese puzzle, and sometimes we want to get a bit lost in something a bit more ineffable. And that’s where Proxima Centauri comes in. In blurb terms, it’s about Sherwood Breadcoat, an angry teenage wizard trapped on a manufactured dimensional sphere 4.243 light years from Earth. Looking to escape and track down his brother, Sherwood must also deal with his confusing emotions, alien creatures and all sorts of fantastic dangers. The book has connections with earlier work such as It All Will Hurt and The Wrenchies, but don’t come to it expecting a Crisis-like tie-up of the Farelverse. What we get instead is a fluid, almost stream-of-consciousness mix of sci-fi and fantasy, slipping in and out of the pages and bound together by the intricacies and subtleties of Dalrymple’s gorgeous art. 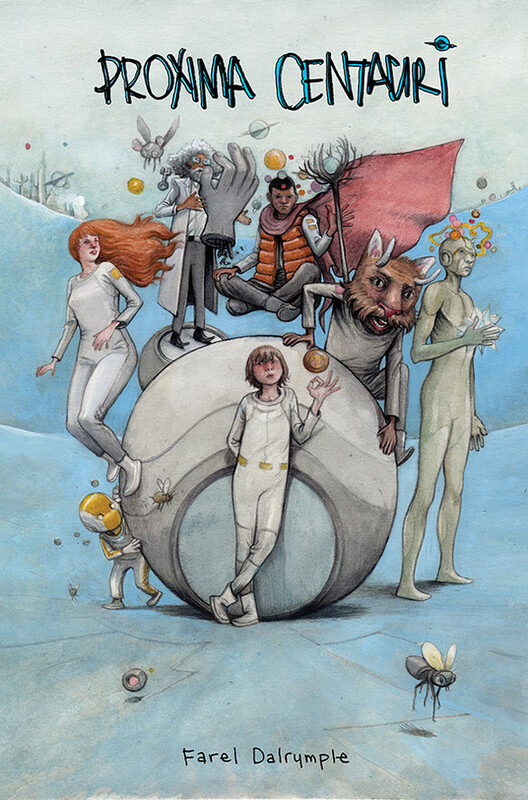 The idiosyncrasies of Farel Dalrymple’s narrative style mean that this certainly won’t be for everybody. However, if you’re prepared to let yourself go with the flow, the strangeness and charm of this inventive work provides rich rewards. 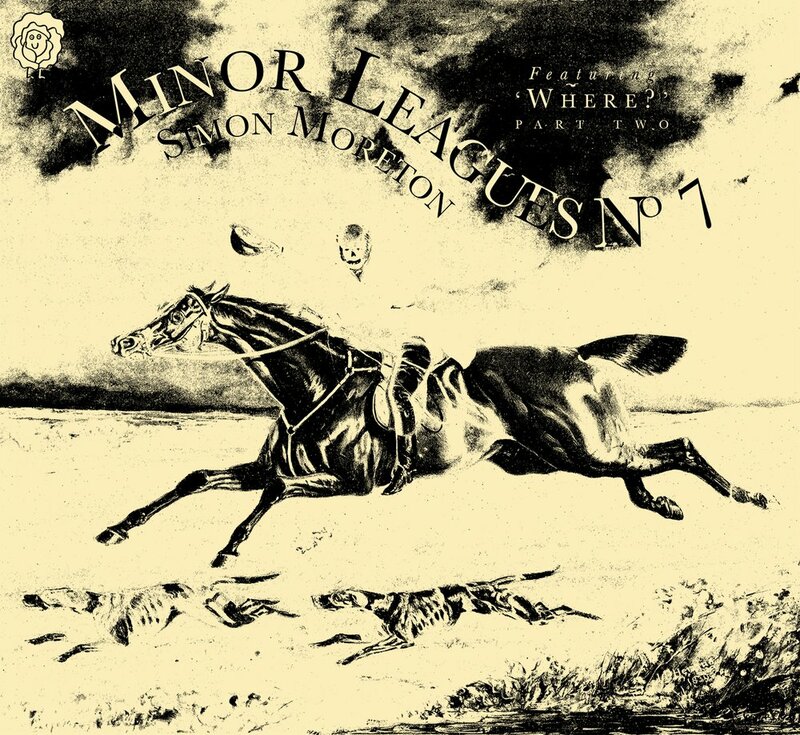 Simon Moreton’s cross-media zine series has long been a favorite at Broken Frontier. 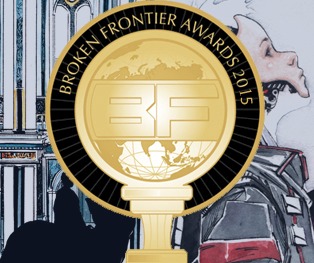 Emerging from his long-running, self-published autobio Smoo Comics it’s been nominated as ‘Best Ongoing Series’ in the Broken Frontier Awards for the last three years in a row. Its time-jumping fragmentary reflections on Moreton’s life and immediately connective minimalist visuals have ensured its place as one of the most vital autobiographical offerings in British comics. With Minor Leagues #6 the artist began the major project ‘Where?’ that he describes as “a big, long autobiographical exploration of life, death, grief, memory and childhood, explored through the lens of the South Shropshire countryside where I grew up, and told through comics, prose, photos, drawings, paintings and collage.” This latest issue promises “stories about ghosts, haunting, abandoned farmsteads, weird fires, radars, places, histories, old lives, drunk in Hackney, falling over in the gravel” and can be ordered online here. Tank Girl’s all-new ongoing series continues with a swift kick where it hurts this week as issue #2 hits the shelves. With their holiday derailed in favor of a journey to visit Tank Girl’s dying mother, our post-apocalyptic punks find themselves chasing after the newly stolen Tankmaster in vehicles they stole from the guys who stole the Tankmaster. (It’s a thing, go with it.) The not-so-merry chase is leading them into more mayhem, and with the way real kangaroos are popping up probably toward the origin of Booga and his race of mutant kangaroos. 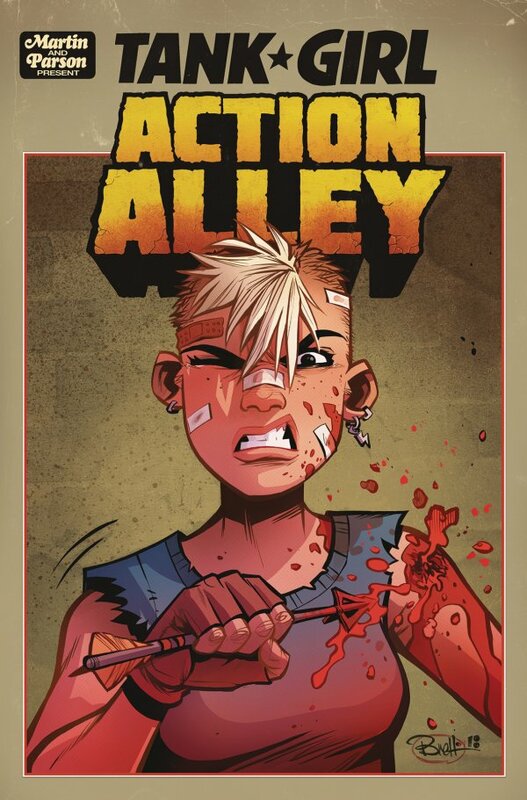 Writer Alan Martin certainly knows how to deliver a beautiful mix of wanton property destruction laced with humor and random bits of heart with Tank Girl and her colleagues, and Action Alley is another delectable (mis)adventure. Brett Parson’s delightful art is on full showcase in this series, and as with all his Tank Girl efforts, you must pay attention to the small details within the panels—read the words on the characters’ T-shirts, notice the books/magazines they’re reading, and always pay attention to the cheeky koala. 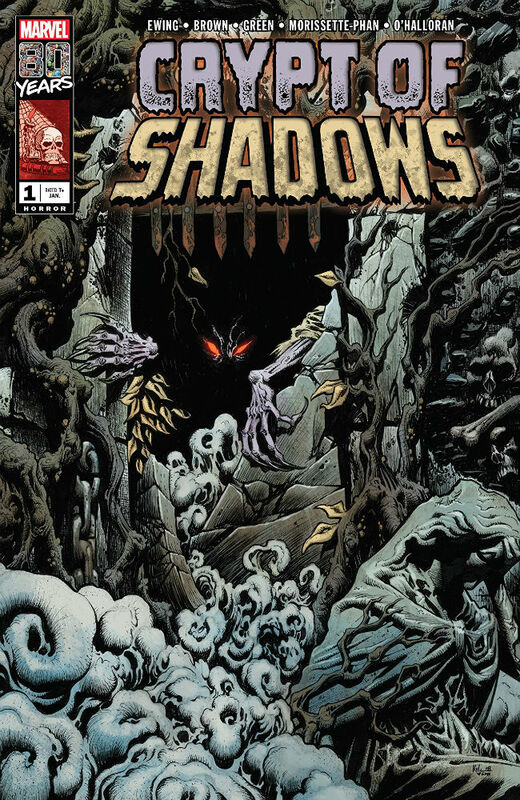 “What nameless evil lurks in the… Crypt of Shadows?” So went the tagline of Marvel’s 1970s supernatural anthology series that – like many of its contemporaries including Dead of Night, Vault of Evil and the second volume of Journey Into Mystery – promised much with their striking contemporary covers but within mostly delivered only decades-old, often dated reprints that rarely matched up to those compelling exteriors. As part of its 80th anniversary celebrations Marvel are reviving a number of titles from their long publishing history in a special series of one-shots. For the nostalgic this may well provide some fun one-off nods to the past over the next twelve months. Crypt of Shadows is one of the first of these offerings. Al Ewing, whose horror-inspired take on the Hulk in Immortal Hulk is proving such a critical hit is on writing duties and the Kyle Hotz cover promises a welcome self-contained respite from the sprawling inaccessibility of the Marvel Universe-proper.